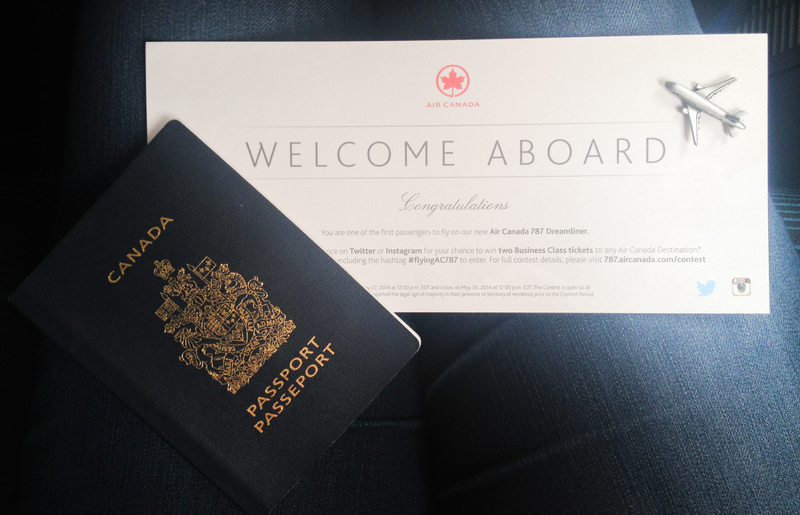 Air Canada’s New Dreamliner: Flying Done Right! 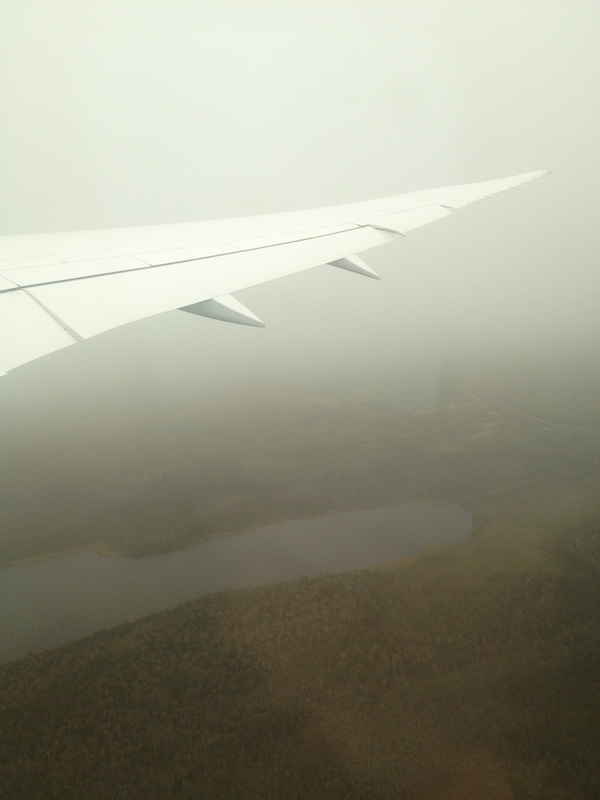 Before yesterday, I never thought I’d know what “new plane” smelled like. 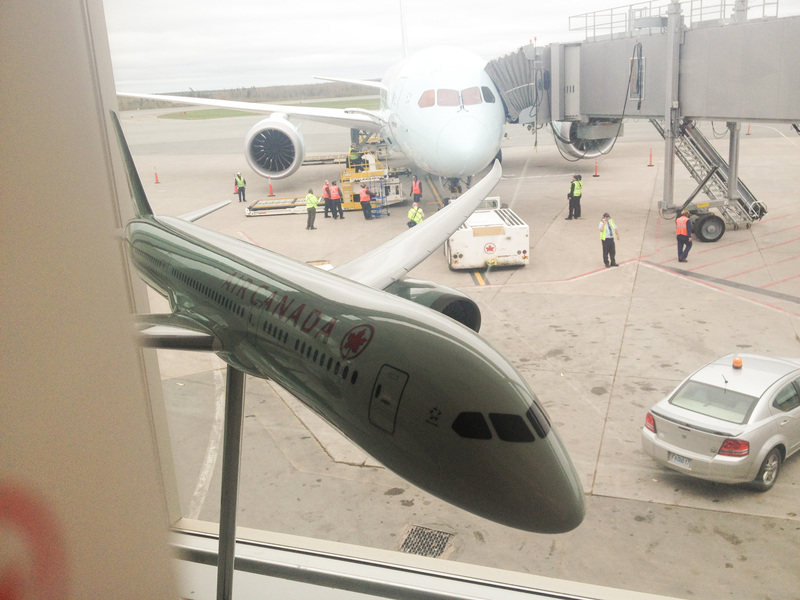 I feel honoured and so lucky to have had the opportunity to fly on the first customer-carrying flight of Air Canada’s new Boeing 787 Dreamliner! Yesterday was a dream come true as I got to be one of the first customers to experience the brand new plane in all it’s glory. This massive sky-flyer seats nine across with spacious seats, high-tech entertainment systems and tint-changing windows, plus more than enough overhead baggage space. 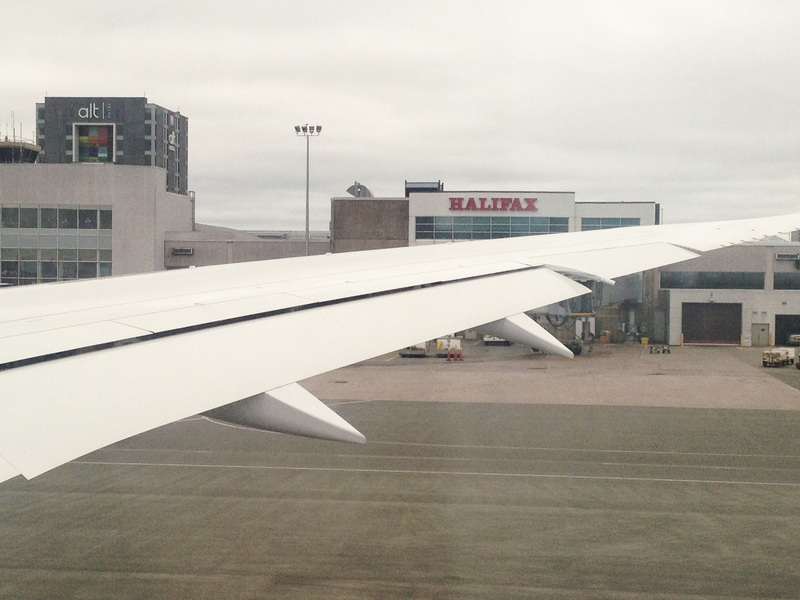 This Halifax-to-Toronto flight was the best one I’ve ever experienced – I didn’t want it to end! 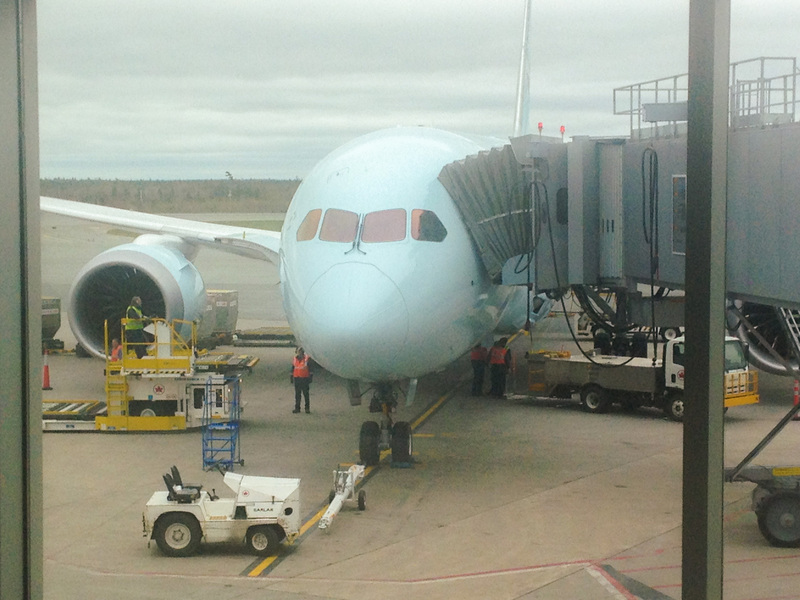 Here’s an inside look at Air Canada’s newest colossus, and what it’s like to fly on the Dreamliner! One of the most impactful elements of a flight experience is quality of entertainment. 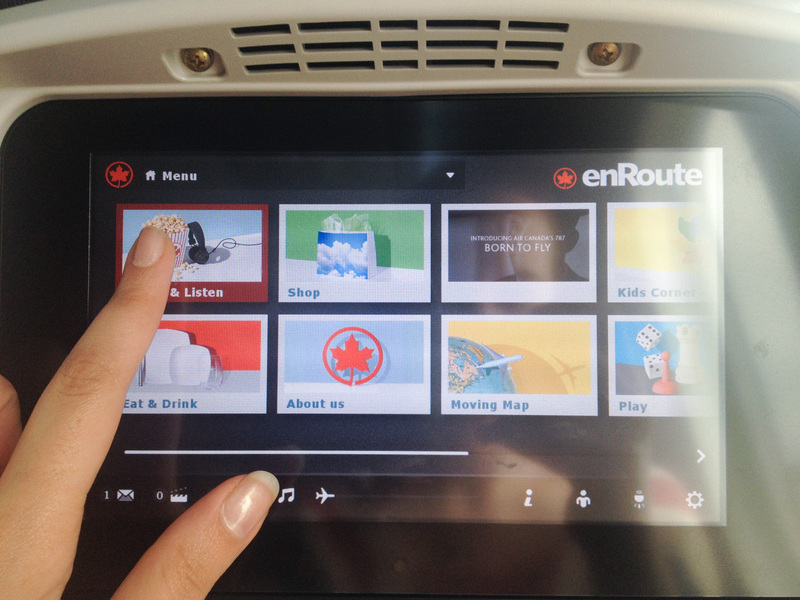 Air Canada’s awesome Dreamliner entertainment interface packs hours of entertainment into a streamlined, intuitive user interface that feels a lot more like a personal tablet than the seat-back systems of old. FINALLY! 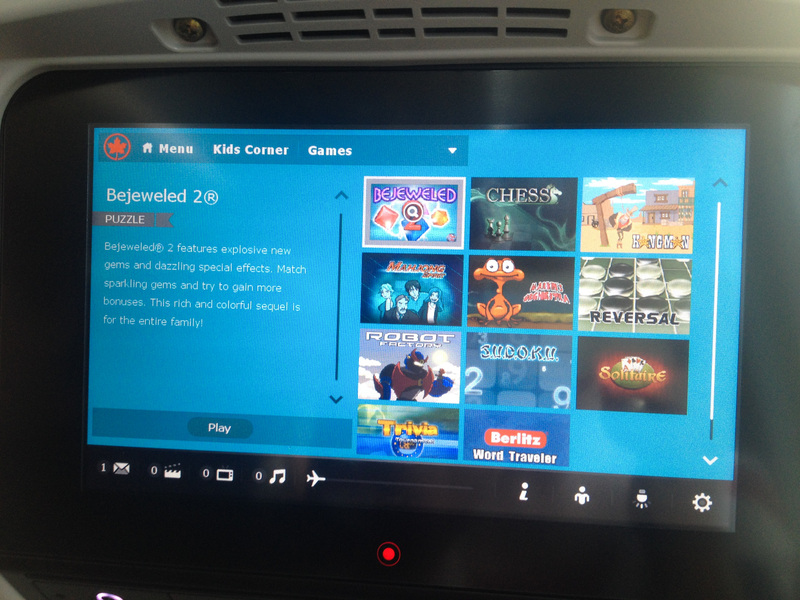 It has been totally redesigned and the content has been updated: now not only can you watch movies and TV shows and listen to music, you can also play games, shop the in-flight boutique, and access the brand new messaging system! The screen is so much better than the ones on any plane I’ve been on before. You don’t have to poke the screen hard anymore because it’s current sensitive, not pressure sensitive. That means that drag and drop is enabled and you can actually use sliders for volume, brightness and video navigation! The layout is like a combination of Windows 8 metro apps with a hint of the Android drop-down and iOS notification flair. 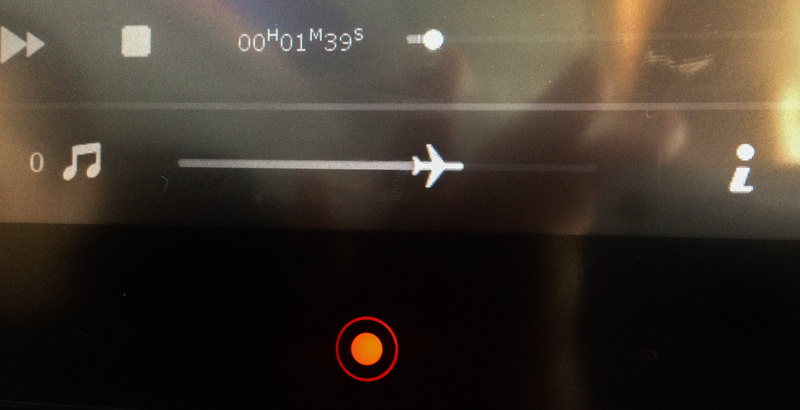 The plane’s messaging system is one of the most intriguing features, especially when you consider its potential for expansion. 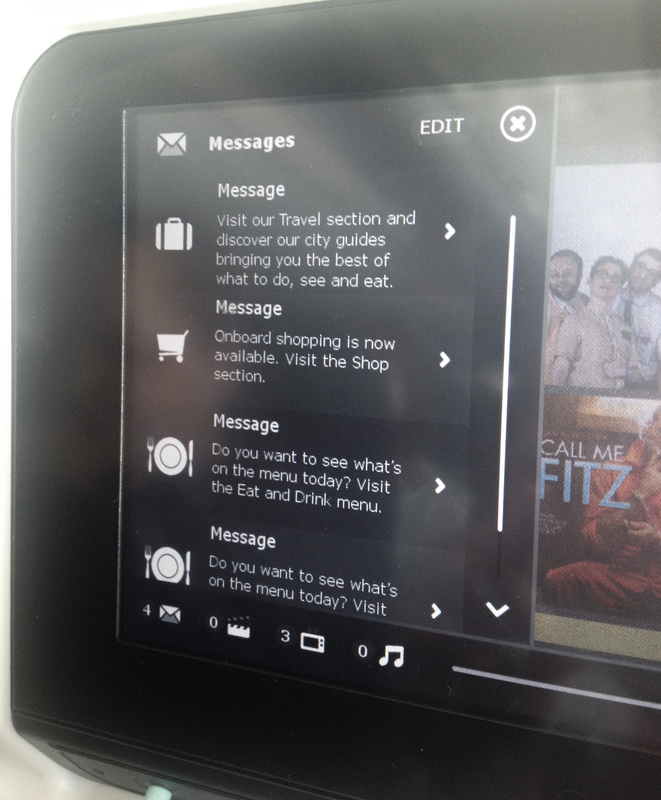 Currently the messaging system displays messages like “Please fasten your seatbelt” and “Onboard shopping is now available” as overlaid banners on top of your entertainment. You can also tap the message icon at the bottom left of the screen to fold out the left message menu and revisit the messages that are still active. In the future, this messaging system could be expanded to allow you to message flight attendants, place food orders or even message other passengers on the same flight! Like with many big tech changes, this is the first step to something much bigger. EnRoute has even managed to improve the video watching experience in this new iteration of their entertainment system: now you can add shows and movies to your media lists, which you can pop up over top of your current entertainment at any time to navigate between them without needing to return to the main menu and re-find them. Flight-tracking has been made easier too: at the bottom of the screen there’s a plane icon on a line that moves along to show how much progress you’ve made on the trip so far. And not only is the new entertainment system awesome, I was really impressed by the in-seat experience even before I turned the entertainment system on. Blue tinted windows with a five-level shade control let you indulge in the beautiful view at all times, even when you want the brightness dimmed. 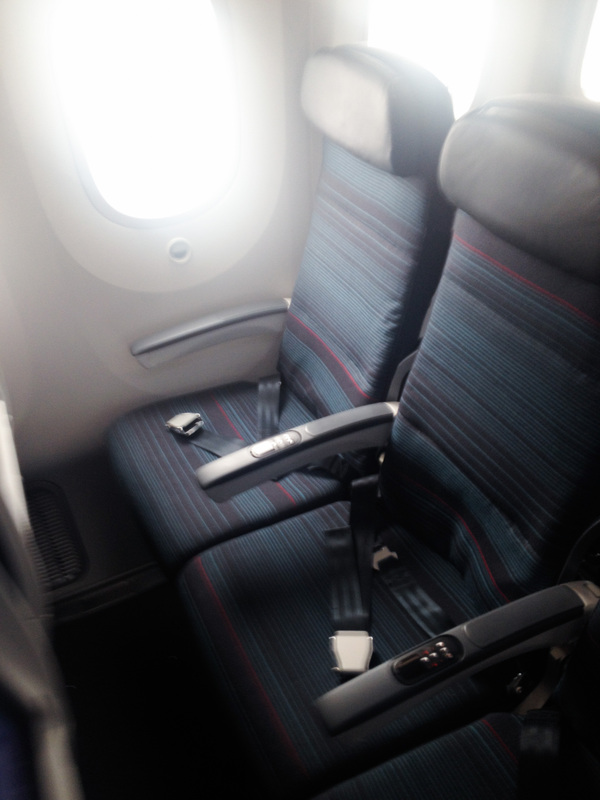 When you recline your seat, the seat cushion slides forward to accommodate the reclining back, allowing you to recline further and more comfortably without compromising the comfort of the person seated behind you. 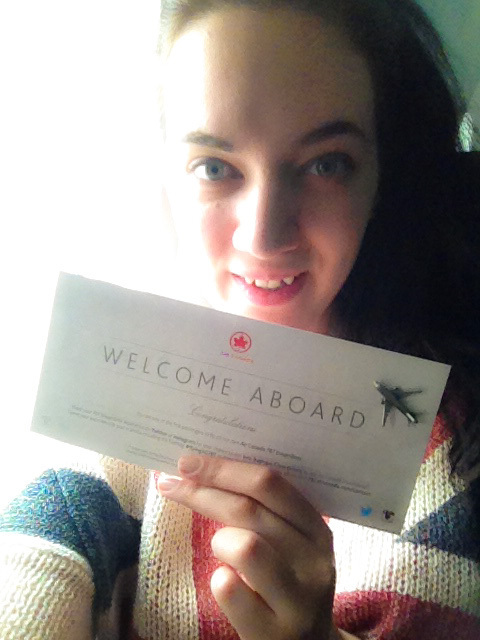 The fabrics are natural and in beautiful neutral tones, with the occasional pop of Air Canada’s signature red. The high-capacity outlets charged my phone twice as fast as in the old planes, and that’s a good thing too because I had packed my camera and only had my phone to shoot these photos! And I’m really pleased that they moved the audio jack to just underneath the screen, instead of keeping it on the armrest where it was before. The halogen seat lights have been upgraded to blue-white LEDs, and are controlled from the screen so you don’t have to reach up. The above head bins are wider and higher, providing a lot more standing room and space above your head while seated. As a tall girl, I really appreciate the extra room! The seats are roomier, the windows are bigger, and the aisles are wider even though there are nine seats across – Boeing really didn’t hold back when designing this luxury ride! It’s clear that the designers had the future in mind when designing this comfort-oriented experience. I am so happy to have had the opportunity to experience Dreamliner flight first hand, especially because I saw these Dreamliners being manufactured during my trip to Seattle and my visit to Boeing headquarters! 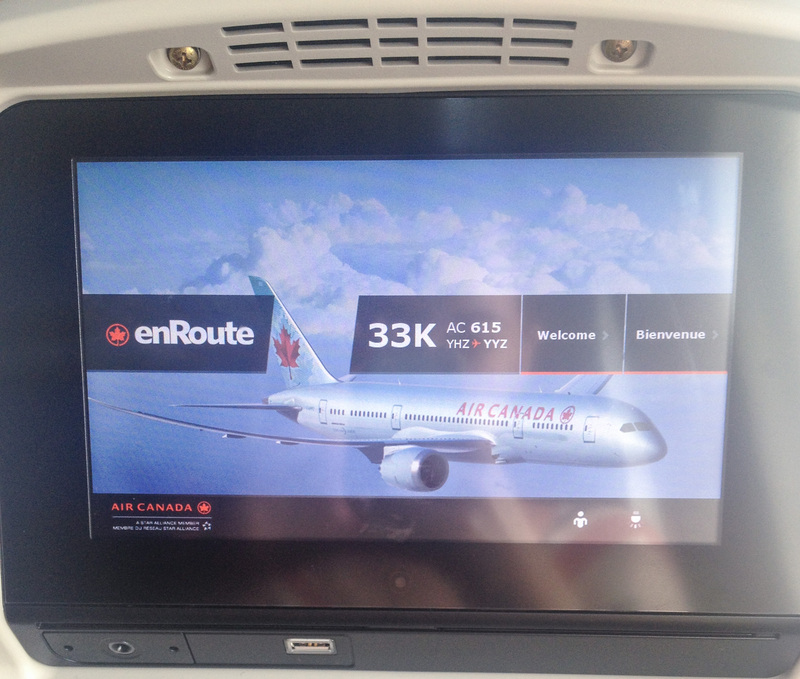 In fact, when I was there, they had just released this very 787 for Air Canada two days before. When I was looking down into the half-built planes, I could barely believe that those behemoths would take flight one day. 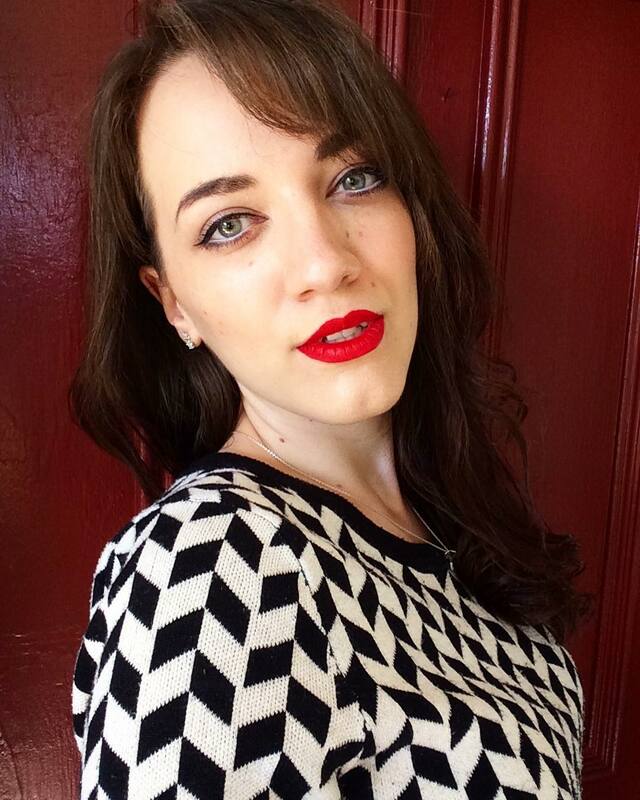 I never thought I’d be in one so soon, just four months later! 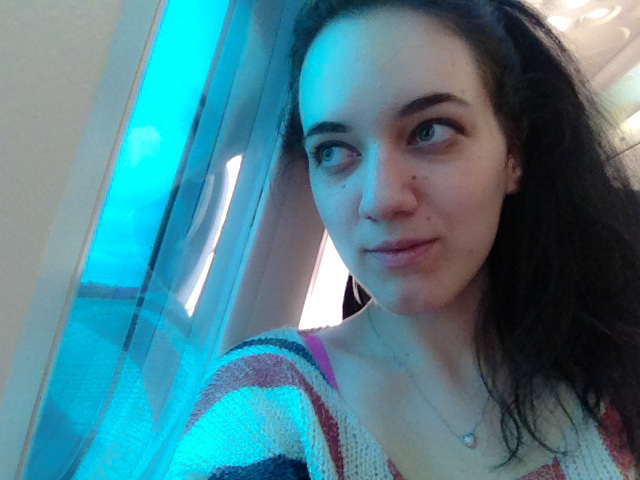 Now that I’ve experienced the future of commercial flight, I never want to go back to the old planes. 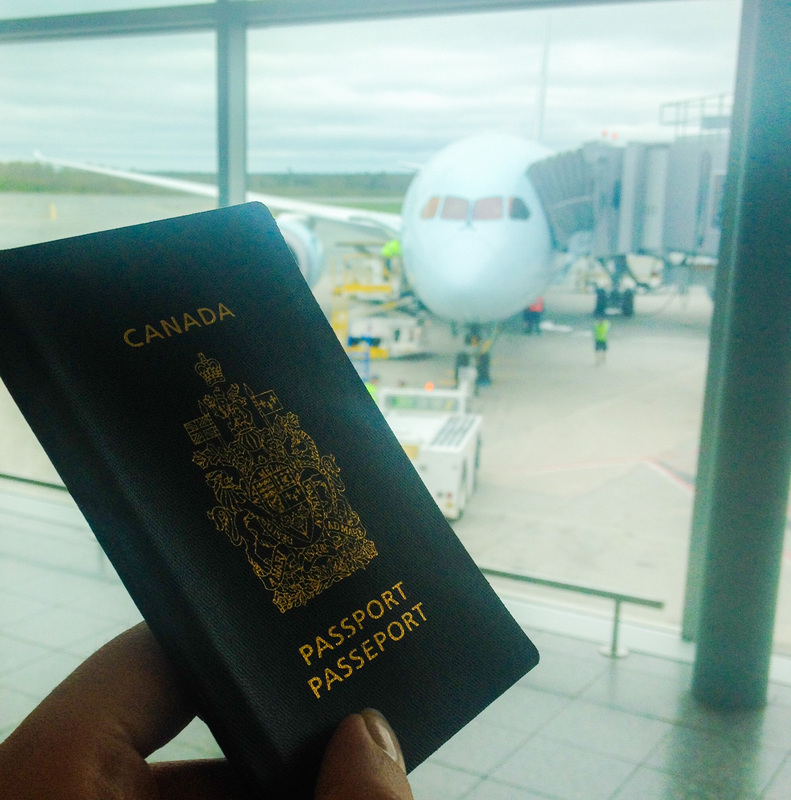 I can’t wait till I can fly in a Dreamliner again! Thanks Henry, I’m glad you liked it!